6-4-1 Inamoto, Munakata-Shi, Fukuoka-Ken. 〒811-3406. From JR Akama Station, take a bus to Kato Shogakko Mae (in front of Kato Primary School). Half a minute's walk from there. There is also a short Evening Prayer service ar 6:00 p.m.
Special services are held on occasions such as Christmas Eve. 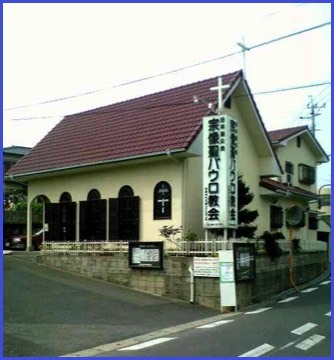 This church was founded as a mission in 1991, and became a church in 1997. Our small congregation includes young children, giving our church a family atmosphere.